four such fruits; a fifth (a happy rebirth) Siha can only take on faith. generosity visible in the here & now. this, too, is a fruit of generosity visible in the here & now. master of giving, reappears in a good destination, the heavenly world. He is confident — the man unmiserly. முடியும் என்று தாராள பழங்கள் பற்றி புத்தர் கேட்கிறார். புத்தர் போன்ற நான்கு பழங்கள் விவரிக்கிறது; ஐந்தில் ஒரு (ஒரு மகிழ்ச்சியான மறுபிறப்பு) Siha மட்டுமே நம்பிக்கை எடுத்து முடியும். உள்ளது என்ற உண்மையை அன்பே & பெரிய அளவில் மக்கள் அழகானவை:. இந்த இங்கே மற்றும் இப்போது தெரியும் தாராள ஒரு பழம் ஆகும். பெரிய அளவில் மக்கள் பாராட்டுக்களைப் பெற்றார். அவர் மரியாதை பெறுகிறது. அவரது நிலையை வளரும். அவர் ஒரு சட்டமன்ற unembarrassed நுழைகிறது. அவர் நம்பிக்கை - மனிதன் unmiserly. ஐந்து உணர்ச்சி மிகு போக்குகளுக்கு நடந்துள்ளதுடன். Ajaan Sao and his student Ajaan Mun established the Kammatthana tradition. A true forest-dweller, Ajaan Sao left no written records of his teachings. Another of his students — Phra Ajaan Phut Thaniyo — did, however, record some of them in Ajaan Sao’s Teaching: A Reminiscence of Phra Ajaan Sao Kantasilo, giving us a tantalizing glimpse into Ajaan Sao’s terse but powerful teaching style. A newly revised biography of Ajaan Mun, written by Ajaan Maha Boowa, is available from » Wat Pah Baan Taad. 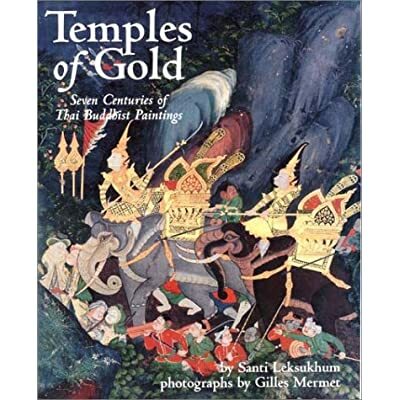 For more about Ajaan Mun and the history of the Kammatthana tradition, see the essay “The Customs of the Noble Ones,” by Thanissaro Bhikkhu. Ajaan Dune Atulo was born on October 4, 1888 in Praasaat Village in Muang District, Surin province. At the age of 22 he ordained in the provincial capital. Six years later, disillusioned with his life as an uneducated town monk, he left to study in Ubon Ratchathani, where he befriended Ajaan Singh Khantiyagamo and reordained in the Dhammayut sect. Shortly thereafter, he and Ajaan Singh met Ajaan Mun, who had just returned to the Northeast after many years of wandering. 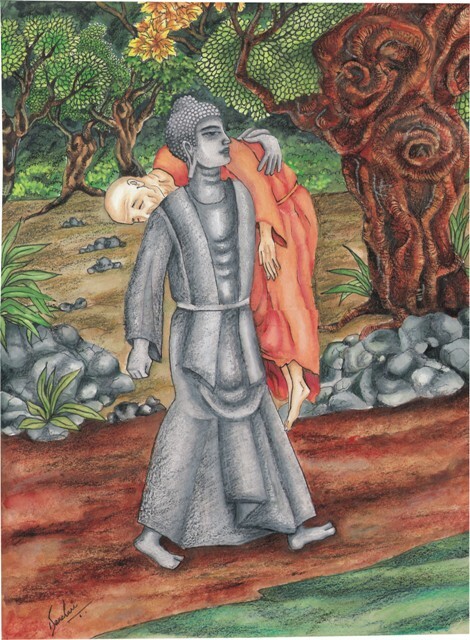 Impressed with Ajaan Mun’s teachings and with his deportment, both monks abandoned their studies and took up the wandering meditation life under his guidance. They were thus his first two disciples. After wandering for 19 years through the forests and mountains of Thailand and Cambodia, Ajaan Dune received an order from his ecclesiastical superiors to head a combined study and practice monastery in Surin. It was thus that he took over the abbotship of Wat Burapha, in the middle of the town, in 1934. There he remained until his death in 1983. After finishing his Grade Three Pali studies he therefore left the study monastery and followed Ven. Ajaan Mun into the forests of N.E. Thailand. When he caught up with Ven. Ajaan Mun, he was told to put his academic knowledge to one side and concentrate on meditation. And that was what he did. He often went into solitary retreat in the mountains and jungle but always returned for help and advice from Ven. Ajaan Mun. He stayed with Ven. Ajaan Mun for seven years, right until the Ven. Ajaan’s passing away. Ajaan Chah was born in 1918 in a village in the northeastern part of Thailand. He became a novice at a young age and received higher ordination at the age of twenty. He followed the austere Forest Tradition for years, living in forests and begging for almsfood as he wandered about on mendicant pilgrimage. He practiced meditation under a number of masters, including Ajaan Mun, who had an indelible influence on Ajaan Chah, giving his meditation the direction and clarity that it lacked. Ajaan Chah later became an accomplished meditation teacher in his own right, sharing his realization of the Dhamma with those who sought it. The essence of the teaching was rather simple: be mindful, don’t hang on to anything, let go and surrender to the way things are. Ajaan Chah’s simple yet profound teaching style had a special appeal to Westerners, and in 1975 he established Wat Pah Nanachat, a special training monastery for the growing number of Westerners who sought to practice with him. In 1979 the first of several branch monasteries in Europe was established in Sussex, England by his senior Western disciples (among them Ajaan Sumedho, who is presently senior incumbent at the »Amaravati Buddhist Monastery, England). Today there are ten branch monasteries in Europe, Australia, and New Zealand. Prior to his ordination, Chao Khun Nararatana was a member of King Rama VI’s personal staff, and was so trusted by the king that he was given the rank of Chao Phraya — the highest Thai rank of conferred nobility — when he was only 25. After the king’s death in 1926, he ordained at Wat Thepsirin in Bangkok, and remained a monk until passing away from cancer in 1971. From the year 1936 until his death, he never left the wat compound. Even though the wat was one of the most lavishly endowed temples in Bangkok, Chao Khun Nararatana lived a life of exemplary austerity and was well known for his meditative powers. He left no personal students, however, and very few writings. 1. The long names and titles of Buddhist monks sometimes bewilder Westerners who are new to these teachings. Once the basic principles and customs are understood, however, the names of Thai monks are easily grasped. Phra: “Venerable.” An honorific that refers to a monk of any rank or seniority. In informal situations Than (”reverend” or “venerable”) is used. Ajaan, Ajarn, Ajahn, etc. : “Teacher” or “mentor” (derived from the Pali acariya, “teacher”). This title may be applied to monks and laypeople, alike. Chao Khun: One of several ecclesiastical titles conferred upon senior monks selected by the King. Maha: A prefix given to a monk who has passed the third level of the standard Pali exams. Looang Boo, Luang Pu: “Venerable grandfather”. A term of respectful affection applied to a senior monk. Luang Phaw: “Venerable father.” A term of respectful affection applied to a senior monk. Upasika: A female lay-follower of the Buddha. Upasaka is the corresponding term for a male. If the title “Mahathera” is applied to a monk’s name, then the terminal vowel in his name changes. For example: Ajaan Mun Bhuridatto or Ajaan Mun Bhuridatta Mahathera; Ajaan Sao Kantasilo or Ajaan Sao Kantasila Mahathera; etc. For more on the use of personal titles in Thailand, see “Part I: Personal Titles” in The Autobiography of Phra Ajaan Lee. 2. Kammatthana: Literally, “basis of work” or “place of work.” The word refers to the “occupation” of a meditating monk: namely, the contemplation of certain meditation themes by which the forces of defilement (kilesa), craving (tanha), and ignorance (avijja) may be uprooted from the mind. Although every meditator who practices meditation in line with the Buddha’s teachings engages in kammatthana, the term is most often used specifically to identify the forest tradition lineage founded by Phra Ajaans Mun and Sao. See the Glossary for more about the general meaning of the word. September 13, 2007 The Uttar Pradesh Chief Minister Km. Government has issued directives to complete the pending works of Dr.
23 constituencies belonged to the rural and urban areas respectively. Our government was committed for the development of all constituencies. The policy of our government was of ‘Sarvajan Hitai, Sarvajan Sukhai’. LUCKNOW: Chief Minister Mayawati on Thursday set the ball rolling for the integrated development of over 17,000 gram sabhas in 380 rural-based Assembly constituencies across the State. For a change, the proportion of Dalit population will not form the criterion of development; instead the criterion will be the population of “Sarv Samaj” ( all the communities). Announcing the Bhimrao Ambedkar Rural Integrated Development Programme, earlier known as Ambedkar Village Development Scheme, Ms. Mayawati said the scheme would be launched simultaneously in all 380 rural Assembly constituencies. The scheme would be staggered in five phases beginning January 2008 and ending March 2012. Addressing a press conference here, Ms. Mayawati said in the first phase from January 2008 to March 2008, five gram sabhas in each of the 380 constituencies would be selected for development. This would total 1,900 gram sabhas in the first phase. In the second phase from April 2008 to March 2009, 3,800 gram sabhas would be taken up for integrated development. Subsequently 3,800 gram sabhas would be selected for development in each of the third (April 2009-March 2010), fourth (April 2010-March 2011) and fifth (April 2011-March 2012) phases, respectively. Considering that a gram sabha comprises on an average 10 villages and cluster of villages, around 1,19,700 villages would be developed. Since, only the rural-based 380 of the total of 403 Assembly constituencies have been included in the Ambedkar Rural Integrated Development Programme, a separate development scheme for the 23 remaining urban-based constituencies would be launched soon, the Chief Minister added. She said her Government desired that the benefits of integrated development percolate down to all sections of the rural society. Ms. Mayawati said during her earlier stints as Chief Minister, 19,248 villages had been selected for development under the Ambedkar Development Scheme. She lamented that their development was ignored by other governments. A fresh impetus has been made to complete the unfinished development works in these villages by December 31, 2007. A dozen Government departments would be involved in integrated development of the 17,100 gram sabhas. The Ambedkar Rural Integrated Development Scheme will include construction of approach roads in villages, rural electrification, construction of water channels, clean toilets, availability of potable drinking water and Indira Avas Yojana. The other components include free boring, construction of primary school buildings, employment generation programmes, allotment of “pattas”, polio eradication, pension for the aged and disabled, and scholarships for the Scheduled Castes/Scheduled Tribes, the Other Backward Castes, students living below the poverty line, and minorities. Lucknow: The Uttar Pradesh government on Thursday cancelled B.Ed examinations of Dr. Bhim Rao Ambedkar University in Agra following detection of “largescale anomalies” in the examination process, a senior official said. According to Principal Secretary (Higher Education) Rakesh Kumar Mittal, the examinations were held last year by the university during the tenure of A S Kukla as Vice-Chancellor who was removed from the post on charges of irregularities. The raucous carryings-on of a group of brahmans lead the Buddha to reflect on the rewards of detachment. particulars & in its essence, entirely perfect, surpassingly pure. “When one eats & drinks & chews & savors, there is excrement & urine: That is one’s reward. lamentation, pain, distress, & despair: That is one’s reward. in the loathsomeness of the theme of beauty: That is one’s reward. கரகரப்பான carryings-ம் பிராமணர்களுக்கு ஒரு குழு புத்தர் பற்றின்மை வெகுமதிகளை பிரதிபலிக்கும் வழிவகுக்கும். சாதாரண பேசியுள்ள உண்மைகள் கற்பிக்க வாய்ப்பு எடுக்கும். வந்தார்கள். அங்கு அவர் Icchanangala Forest Grove தங்கியிருந்தார். வீட்டுக்காரர்கள் அது கெளதம தியான “, நான் கேள்விப்பட்டேன் . வீட்டிற்கு சென்றார். வருகையை அவர்கள் உரத்த மோசடி, ஒரு பெரிய மோசடி செய்து அங்கு நின்று. இப்பொழுது [தங்கள் பிரசாதம்] ஆசிர்வதிக்கப்பட்ட ஒருவர் ஏற்றுக் கொள்! ஒருவர் இப்போது போக வேண்டும் அதே வழியில், உள்ள , நகரங்கள் மற்றும் கிராமப்புறங்களில் பிராமணர்களுக்கு எனவே. இது ஏன்? “ஒரு சாப்பிடுவார் & பானங்கள் மற்றும் சவச்சி மற்றும் வாசனையான போது, அங்கு சாணம் மற்றும் சிறுநீர்: அந்த ஒரு வெகுமதி ஆகும். மற்றும் விரக்தியிலும் மாநில எழுகிறது: அந்த ஒரு வெகுமதி ஆகும். loathsomeness ஒரு நிலைப்பாட்டை எடுக்கும் என்று ஒரு வெகுமதி ஆகும். 10-10-2007-True Teachings of The Awakened One-To Nagita-The raucous carryings-on of a group of brahmans lead the Buddha to reflect on the rewards of detachment. This is a work in progress. I welcome your help in filling any of the gaping biographical holes. If you have any information to provide, please let me know. I’d be especially grateful for references to previously published sources (book, newspaper, magazine, official website, etc.) that I can cite as trustworthy references. “Amaravati Sangha” refers to the community of monastics (bhikkhus and ten-precept siladharas) in the Thai forest lineage of Ajaan Chah that are associated with the » Amaravati Buddhist Monastery near Hemel Hempstead, England, and its several branch monasteries across Europe, Australia, and North America. The community has kindly provided a number of sutta translations for distribution on Access to Insight. Phra Bodhinandamuni (Phra Khru Nandapaññabharana) is a Thai Buddhist monk. John Bullitt is an American lay Buddhist and long-time student of the Dhamma. He received a B.A. in physics from Grinnell College and an M.A. in geophysics from the University of California, Berkeley. In the early 1990s he helped Ajaan Suwat establish » Metta Forest Monastery in California and edited Bhikkhu Bodhi’s manuscript of The Middle Length Discourses (Boston: » Wisdom Publications, 1995). In 1993 he launched Access to Insight, an online distributor of free Dhamma texts, of which he continues to serve as Editor. The Dhammayut Order in the USA is the administrative organization that oversees the Thai Dhammayut temples and monasteries in the USA. Obtained a PhD in London. No further information available. John Kelly is a lay Buddhist and student of the Dhamma and the Pali language, currently living with his wife and family in Brisbane, Australia. K.R. Norman is the current vice president of the Pali Text Society. Many of Olendzki’s translations that appear on Access to Insight were originally published in » Insight Journal. Thanissaro Bhikkhu (Geoffrey DeGraff) is an American Buddhist monk of the Thai forest kammathana tradition. After graduating from Oberlin College in 1971 with a degree in European Intellectual History, he traveled to Thailand, where he studied meditation under Ajaan Fuang Jotiko, himself a student of the late Ajaan Lee. He ordained in 1976 and lived at Wat Dhammasathit, where he remained following his teacher’s death in 1986. In 1991 he traveled to the hills of San Diego County, USA, where he helped Ajaan Suwat Suvaco establish » Wat Mettavanaram (”Metta Forest Monastery”). He was made abbot of the monastery in 1993. His long list of publications includes translations from Thai of Ajaan Lee’s meditation manuals; Handful of Leaves, a four-volume anthology of sutta translations; The Buddhist Monastic Code, a two-volume reference handbook for monks; Wings to Awakening; and (as co-author) the college-level textbook Buddhist Religions: A Historical Introduction. The » Yahoo! 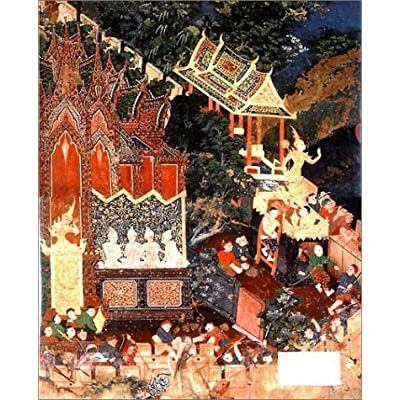 Pali Group is an online forum where Pali students and scholars gather to discuss the Pali language and to make collaborative translations of texts from the Tipitaka. Contributors to the translations on Access to Insight include: Derek Cameron, Dimitri Ivakhnenko, and Piya Tan. Note: The four characters in square brackets that follow the names of translators are Reserved Translator Codes, which are used in assigning file names to Pali translations.